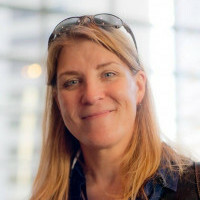 With over 25 years’ experience in the video game industry as a geographer and culturalization strategist, Kate Edwards has been involved in the world-building process for many, many game titles, from major franchises such as Halo, Fable, Age of Empires, Mass Effect, Call of Duty, and Tomb Raider to an assortment of various indie games. She has truly seen it all when it comes to geopolitical and cultural issues that can negatively affect the ability of a game to be distributed and enjoyed by a wide range of players across diverse geographies and cultures. She has also seen game designers miss key opportunities to create more robust worlds that engage players by leveraging more of their local cultures. Come hear about the little-known field of content culturalization and how it assists game creators with building better worlds that account for a wider range of cultural, geopolitical, and environmental aspects. The audience will learn about how the often-overlooked cultural expectations of the "real world" can interact and impact the perception of - and ultimately the success of - a game's creative vision.